NaBloWriMo day 14. I’m blogging daily and trying not to lose it. Eat on $30 day 4. I’ll cover what we ate on day 4 tomorrow since the Daring Cooks challenge usually goes live at midnight. This posting date was set in stone millennia ago, but I made it (and we ate it) last week, so it isn’t part of the Eat on $30 challenge. It’s my Dad’s birthday! Happy Birthday, Baba! I hope you have an awesome day. Love, JenJen. Did you see the giveaway for 2 $25 Macy’s gift cards? Go! Go enter! Then come back because this recipe RAWKS! 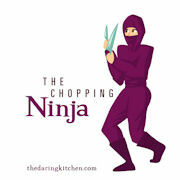 daring cooks – we slice, we dice, we sizzle, baby! It’s time for the Daring Cooks again after last month’s hiatus. Let’s pay proper homage to the ladies of the kitchen… the DARING KITCHEN, that is: lovable Lis of La Mia Cucina and irresistable Ivonne of Cream Puffs in Venice. Our hostess this month is one of my favorite chicas of the food blogging world, Jaden from Steamy Kitchen. I had the pleasure of meeting her in person last month at the BlogHer Food conference in San Francisco – such a sweetheart. Here’s the official line: The October 2009 Daring Cooks’ challenge was brought to us by Jaden of the blog Steamy Kitchen. The recipes are from her new cookbook, The Steamy Kitchen Cookbook. The challenge for October was Vietnamese pho. Jaden gave us a lot of options to choose from, but I went straight for the long version of the Vietnamese beef pho recipe. I have been wanting to make beef pho for years and this was the kick in the patootie I needed. I only made a half recipe since we had to empty our fridge of perishables before starting the Eat on $30 challenge. The first step was to roast the ginger and onion in the oven. While that was roasting, I parboiled the beef bones ten minutes for the precious broth then drained them and cleared the pot of scum. I’ve never made broth with this combination of spices before and I was so excited! 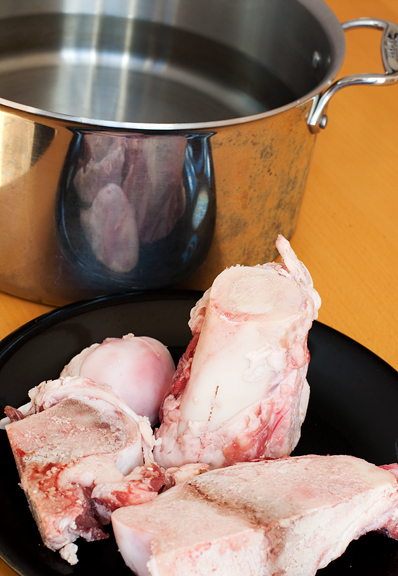 The parboiled bones went into a fresh pot of water and were brought back to a boil. I placed the spices in a little mesh pouch and chucked those in with the ginger, onion, fish sauce, sugar, and salt. Jaden said for maximum flavor, simmer the broth for THREE hours. Yes, ma’am! It smelled like heaven. My house smelled like heaven. 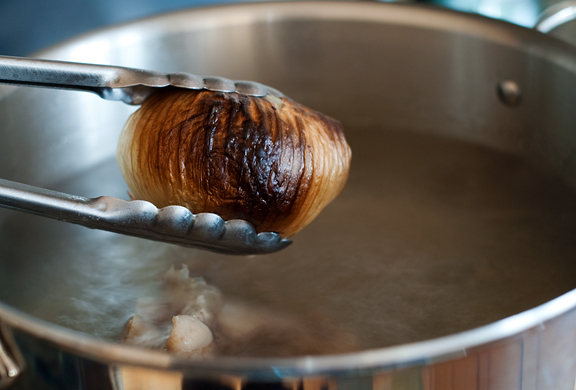 I wanted to swim in that aromatic broth, except it was scalding hot. Just before the broth was ready, I prepped the rest of the ingredients for the pho. Every time I have fresh basil, fresh mint, and fresh cilantro together, I think of my good friends, Todd and Diane over at White on Rice Couple because they introduced me to real Viet food. The dinner they served us last year puts a smile on my face whenever I think back to it. So Jaden’s recipe gave me the warm fuzzies. I blanched my rice noodles in boiling water for a minute and then drained them. The hot broth is supposed to cook the beef, but Jeremy and I like our beef rare – REALLY rare, so I don’t let it cook too much. I added a little hoisin sauce and a generous squeeze of hot chili sauce and the soup was PERFECT. I am so very very happy to finally know how to make pho. Thank you, Jaden! Be sure to check out the rest of the Daring Cooks challenges. 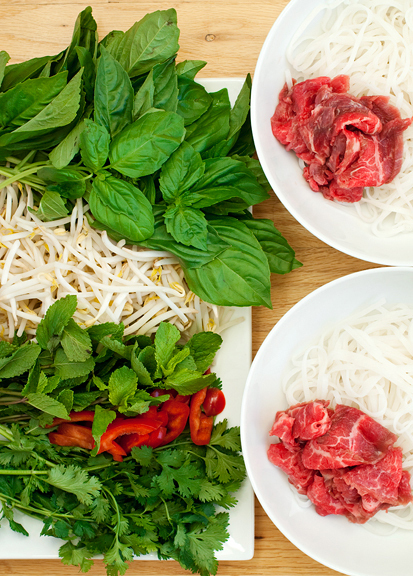 Looks great and it’s the perfect time to make pho now that fall is fast approaching! That looks really tasty! I opted for the long chicken version (which I was disappointed with) but I need to give the beef version a go! Lovely photos! Your soup looks beautiful, it’s jumping off the screen at me! I made the long chicken version, it was interesting to see the differences and similarities to the beef version you made. The spices look beautiful! I love all of the bright vibrant colours in all of your photos, I also made the beef version and was also very happy with the results. I love, love, LOVE pho! I made a quick version awhile ago and the house smelled pretty good. I can only imagine how awesome it smelled after three whole hours! Yum! I’ve been intimidated by the recipes I’ve seen before. Most seem to say things like, “Start with a half a cow…” This looks very do-able. I’m curious about the parboiling of the beef. What is the reason for that? Can’t wait to try this one! Thanks! This was a fun challenge. Your pho turned out beautifully! We went the beef route too- although Oscar was very disappointed the bones I brought home were not for him! Great job! 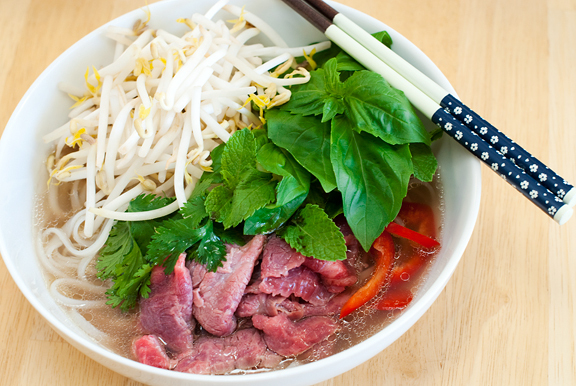 That Pho looks marvelous and so flavorful! Gorgeous! After making and loving the chicken pho, I’m anxious to try the beef pho. That looks perfectly delicious. Ha, this is really incredible. I have to make it soon b/c last week we made one and it was nowhere near what you have in this one. We will try it next week b/c the rest of this week is booked. I already wanted pho today and now I’m craving it like an addict… sheesh. I seriously loved the chicken pho and now seeing your beef pho, that has got the best next thing we’re gonna make. It looks delicious! My family and I love pho, but we’ve never tried making it! I have made Jaden’s crock pot pho several times and if you think your house smells good after three hours of simmering, try all night. I love the beef pho! We did the long version as well. I am so excited that we had this challenge :D Your photographs look gorgeous, as always! Love the photo sequence. This recipe is a keeper! This actually looks pretty simple once you deal with the broth step, and it sounds delicious and warm and tasty. The spice picture is awesome! wow wow wow!! stunning pictures!! How amazing does that look. Your photos are incredible. oh wow, your soup looks great! Lovely pictures. I wish I could have had your pho rather than mine. The pictures looks absolutely beautiful and it seems like your flavors really shone. Great job. oh how I love pho. I love your knives too. Ceramic right? I heard many a good thing about them. Do they need sharpening? HELL YEAH!!!! Thank you for making the pho look so beautiful! These photos are AMAZING! You made the most pulchritudinous pho in the world in my opinion. The colors are so vibrant and everything looks so fresh. You make me want to make this at home now :). Great pictures! 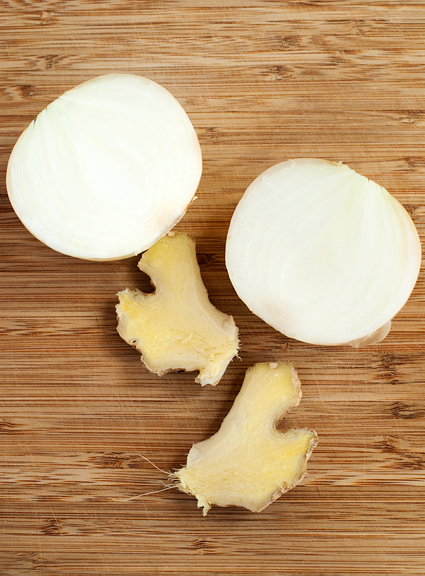 How do you make onions & ginger & spices look so pretty? It did smell lovely and yours looks lovely too. Swimmable indeed. 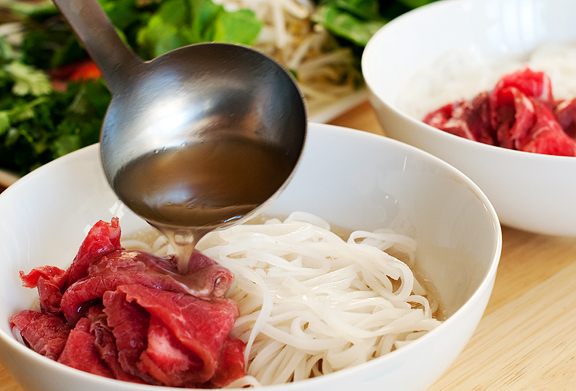 Pho is so good… it is the gift of the gods… and agreed – rare beef is better. This coming from a girl who wouldn’t touch anything that wasn’t fully grey and well done for 16 years. Oh how things have changed. 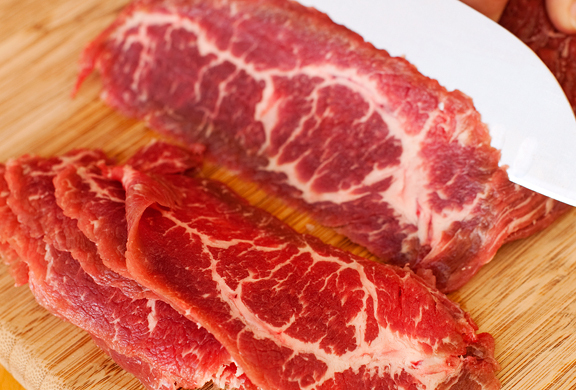 Overcooked meat is just dry and pointless. I just wanted to say that your photographs of the beef Pho looked so good that I had Pho on my mind all night. So, at lunch today, I went to the Vietnamese cafe near my work and deviated from my standard “Lemon Grass Chicken” and ordered “Beef Pho” instead. It’s just what I needed on a wet and rainy day! Thanks for sharing the recipe from Jaden’s book; I will definitely have to give this recipe a try on the weekend! By the way, do you have any pointers when making this recipe? OMG That looks so good!! Beautifull photos! I loved each and every one of them. I guess I’ll be making the beef version next time! Gorgeous photos..that pho looks so delicious! This is one of my favorite soups. But I’ve never had any idea how to make it. Thanks for sharing this one! I cannot wait to be making this soon! Beautiful pictures! 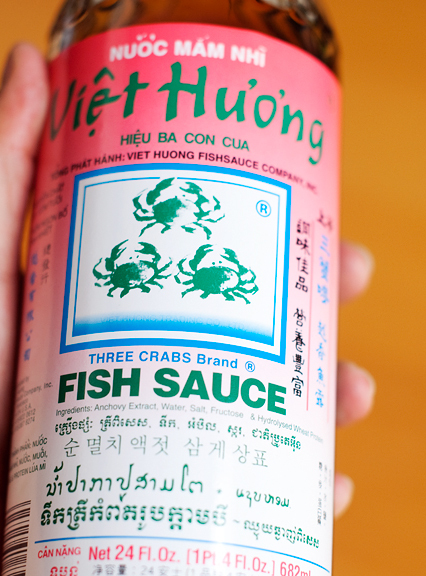 Your pho looks fantastic. I’m glad you enjoyed the beef version as much as I did. Beautiful job! I agree: the long beef version was the way to go! Wow, that looks delicious! I love rice noodles and the beef just looks so tasty. It seems like it would be a nice comforting dinner on a cold night, so satisfying! Now I want Pho, and it’s not even 9am. This looks sooo good! Happy birthday to your dad =D. You should really try the fresh pho noodles. 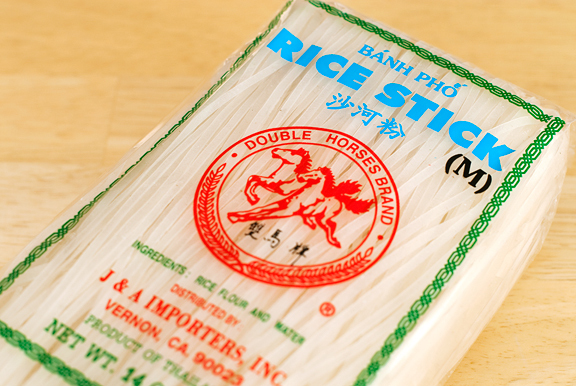 Most of the asian markets in Denver carry the fresh pho noodles and the dry ones. Just wanted to let you know =) Cuz the fresh ones just need about a minute in the boiling water and your ready to go . Loan beat me to it. As soon as I saw the dried noodle packet I shrieked, you have to use the fresh pho noodles/hydrated-vacuum packed pho noodles, you can taste the difference. I am in Vietnam now with my husband and we eat this everyday for breakfast, which is traditionally the way to go. I am excited to have a recipe to try when we get home. Bekah Jones – it’s to remove the scum from the bones. It reduces the final amount in the broth. Shoshanna – I think if you just follow Jaden’s instructions, you’ll find yourself smiling with a steaming bowl of pho in your hands. It is soooo good. Elaine – I’ve had beef tendon soups before and they are REALLY good! Lauren – thank you, hon! Loan – yeah, I don’t shop in Denver often – it’s a long haul from the mountains. I’ve had fresh pho before, very good stuff. Hi Jen (and Jaden): I tried this recipe for dinner last night. It was AWESOME. That broth was so delicious. I couldn’t find star anise in our local grocery stores, but I used about a tablespoon of anise seed and that seemed about right. We had guests and everyone raved about it. I will be making this again, I’m sure. Thank you for all your hard work, and I was just looking for a recipe in my daring attempt to do rare beef pho at home…..now I am looking forward to it, plan to follow your posting! But for the spices for the broth, could you use five spice powder? if you don’t have all those individual spices? 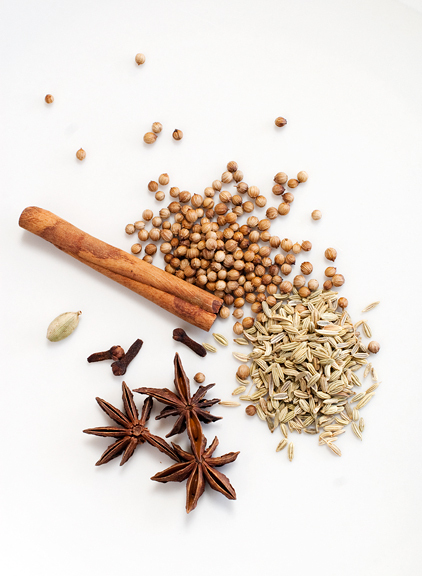 Chrystani – I’ve never used five spice powder. I’m not sure you’d get the same effect. Rambutans are best eaten fresh out of hand. You can also slice up the flesh and turn it into jams, ice creams, and sorbets. Doused in heavy syrup, they also make great toppings for cakes and pastries.